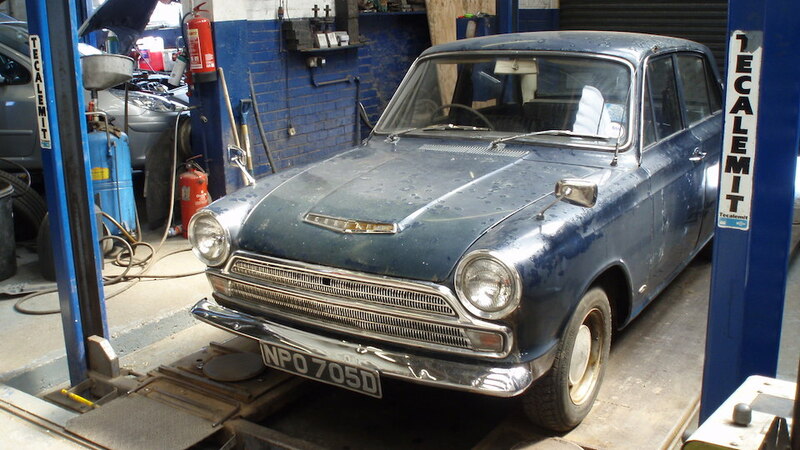 1966 was the last year for the Mark 1 Cortina before getting a significant redesign for the ’67 model year. 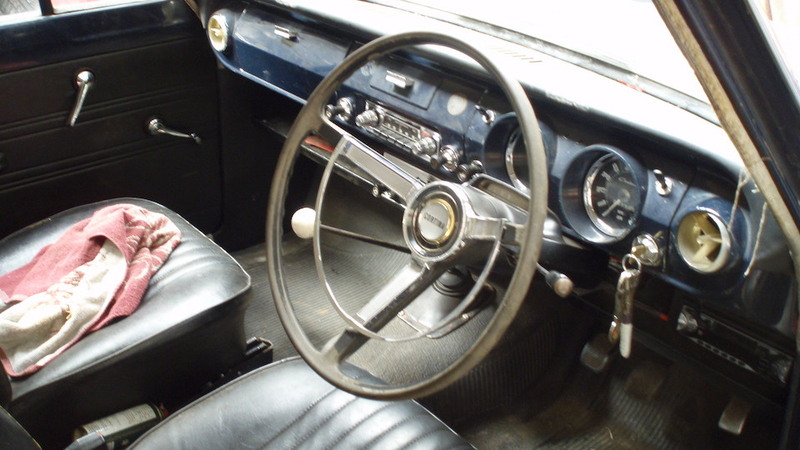 The old soldier featured here actually started of life with the optional automatic transmission but was later converted to a four speed manual. 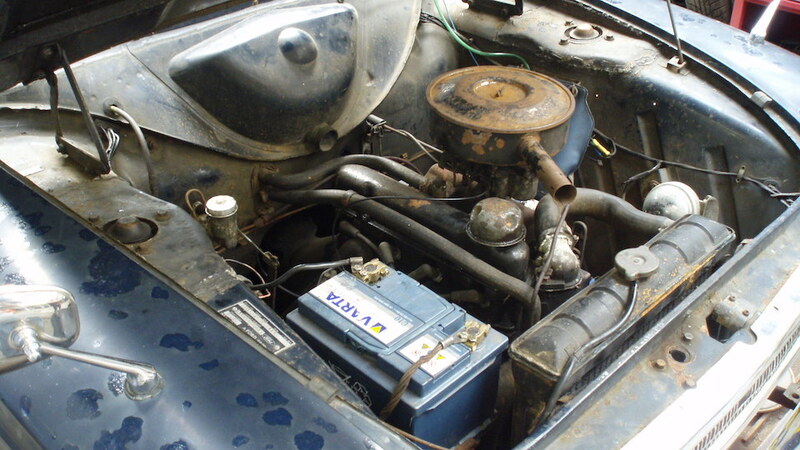 Two choices of Ford’s pre-crossflow Kent engine were available in 1198 cc (73 ci) and 1498 cc (91 ci) with 78 hp being claimed for the 1500 when fitted to a Cortina GT. 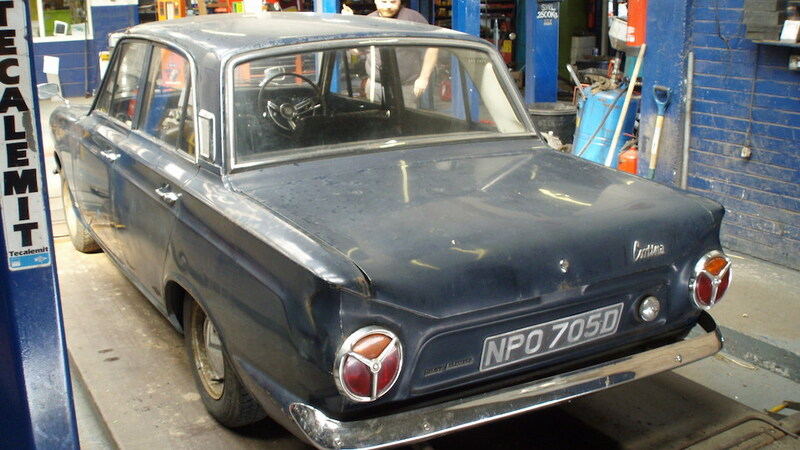 A special 2 door Cortina Lotus version was made with a unique green stripe down the side and a twin cam 1557 cc (95 ci) engine.